After I said yes he never asked again and encouraged me. He would give me a lesson on the drive to the hunt in the early mornings about the birds and shotgun shooting and everything else in between. He never revealed even the slightest hint of an ego, that’s not what hunting is about for him. I’ve learned a lot since then and know I will still learn a lot more from him in the years to come. And since I’m about to head up to Arkansas from New Orleans today, I thought I’d share some of his wisdom with you. We did this Q&A a little while ago, when dove season was just beginning. Since it’s about to start up again this weekend the timing seemed right. 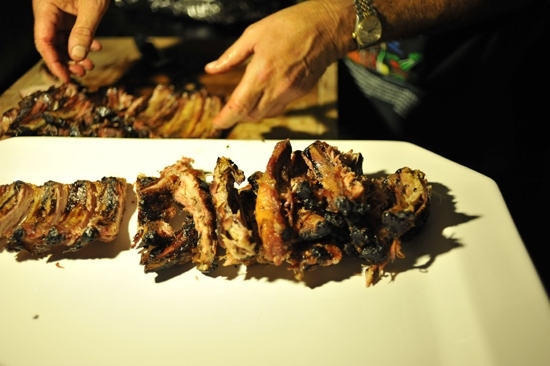 Plus he revealed his apple juice ribs recipe that we were all salivating over a few months ago. Enjoy! Q. What years did you serve as Commissioner of Fish & Game in Arkansas and how did you get the position? FB: I was appointed to the AFGC in July of 2002. I served my seven year term which expired July 1, 2009. I was appointed to the Commission by then Governor Mike Huckabee. Commissioners are appointed by the Governor each July, with one of seven going off and a new one appointed each year. Q. What were the things you enjoyed most about the job and what were the challenges? FB: I really enjoyed representing the average sportsman in Arkansas. Making sure that they were provided the best opportunities to hunt, fish and enjoy the outdoors. I always felt my hunting experience was a real asset to the Commission as it made regulation decisions. It was always a challenge balancing opportunity and protection of the resources. Q. How old were you when you went on your first hunt, who were you with and what kind of hunt was it? FB: My first hunt was a dove hunt with my Dad and his friends. I was probably five or six years old. Q. What was your first gun? What is your gun of choice these days? FB. My first gun was a Remington 410 automatic. I currently shoot a Benelli Super Black Eagle for ducks and turkeys and a Browning Citori for doves and quail. Q. What is the most memorable hunt you’ve ever been on? FB. My first turkey hunt was with my Dad also. I was nine years old and killed a gobbler at first light that morning. Q. It’s prime dove season right now, what are the important characteristics that someone should know about doves in order to prepare for the hunt? Q. What is your advice for someone trying to get into hunting for the first time? FB. 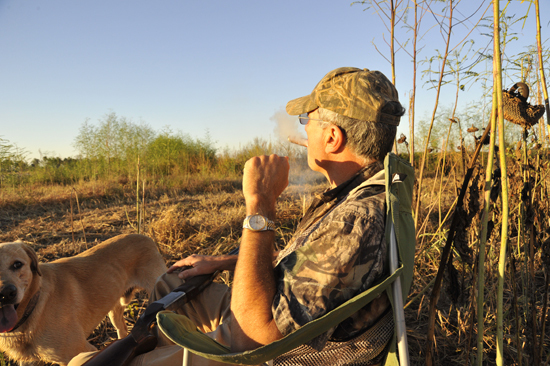 Most people are introduced to hunting by a family member or friend. Most hunters are usually eager to share their love and knowledge of hunting. Don’t’ be afraid to ask! Also, your state Game and Fish Agency is a great source of information and help. In Arkansas, our Agency has “Women in the Outdoors” workshops to help women learn outdoor skills. Q. What is your favorite animal to hunt and why? Is there anything that you haven’t hunted and still look forward to? FB. Turkey hunting is my favorite! The challenge of outsmarting a spring gobbler is something I look forward to every year. I love being in the woods at daylight…. listening to the birds wake up! The anticipation and excitement waiting for a gobbler to sound off is unsurpassed in the outdoors for me! Q. Why do you hunt? What is your take on some people’s belief that hunting and/or eating animals is wrong? FB. My Dad and uncles introduced me to hunting at an early age. Getting to participate in a fun activity with the grown-ups was such a cool experience for me. I grew to love the outdoors as they did! Hunters are the key component to conservation and wildlife management. They play the key role in keeping wildlife population healthy and populations in balance through proper harvest management. Getting to enjoy your harvest at the dinner table is a reward! Many urban areas, where hunting has been forbidden, are now allowing controlled archery hunting to try to reduce deer populations. The many problems that come with over population don’t happen in a controlled hunting season. FB. I have the pleasure of hunting with many friends of Italian descent. One of our favorite meals is fried deer steak with pasta and “red gravy”! We slice the back straps in ¼-1/2 inch pieces and run them through a tenderizer, then soak the pieces in an egg & milk mixture with a little crushed garlic. When its time to cook, we batter the pieces in a 50/50 mix of flour and Italian bread crumbs! Yummy! Another favorite we cook often are ribs! The first secret to good ribs is a grill that you can maintain the temperature at 225-275 degrees and cook “smoker style” or with indirect heating. My favorite cooker is a rotisserie cooker with the fire box in the back. Prior to cooking, I remove the skin from the bone side of the slab….season with a dry rub….my favorite is “Sweet Daddy’s” rub which is made in South Louisiana. But any rub will do….I place the ribs bone side up on the grill and cook for two (2) hours maintaining my heat at 250 degrees. You are gonna have to tend your fire and add some coals along the way….a chunk of mesquite on your favorite wood adds to the flavor. 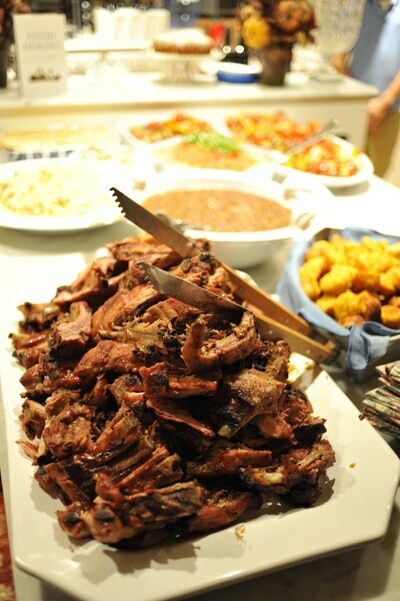 Then wrap your ribs in foil, sealing them tight….I like my barbecue sauce on the side so I usually pour a little apple juice over the ribs before I wrap them up…..you can put your favorite sauce on them instead if you prefer before you wrap them in foil. After I have them wrapped I put them in an ice chest to rest an hour or two! Enjoy! Yellow Corn Bread with Grandma P.
I am going to have to try backstraps that way and those ribs look good too! Is this recipe used for venison ribs or just pork? The rib recipe is for pork but you could try venison. The ribs won't be as meaty though. Makes me want to invite my hunter friends over for a BBQ. These look incredible, they have a good amount of meat one them! I don't have much experience with grilling so excuse my ignorance but why would one choose indirect heat rather than direct? With indirect heat, the meat cooks more slowly at a lower temperature which makes it more tender. This is a good method with wild game because it tends to have more muscle tissue. I also like to do this with salmon. Give it a try sometime!